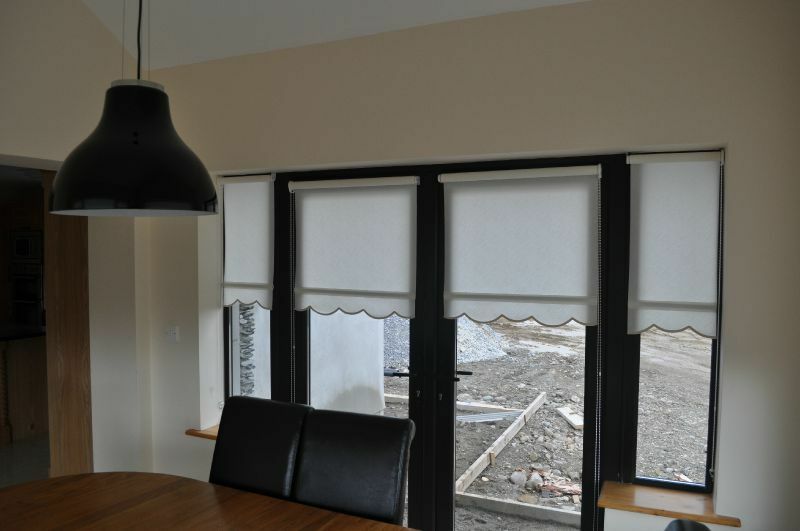 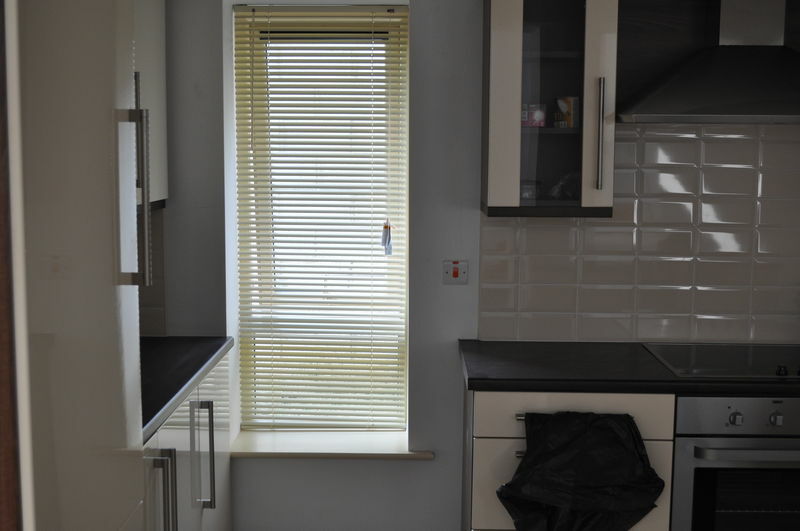 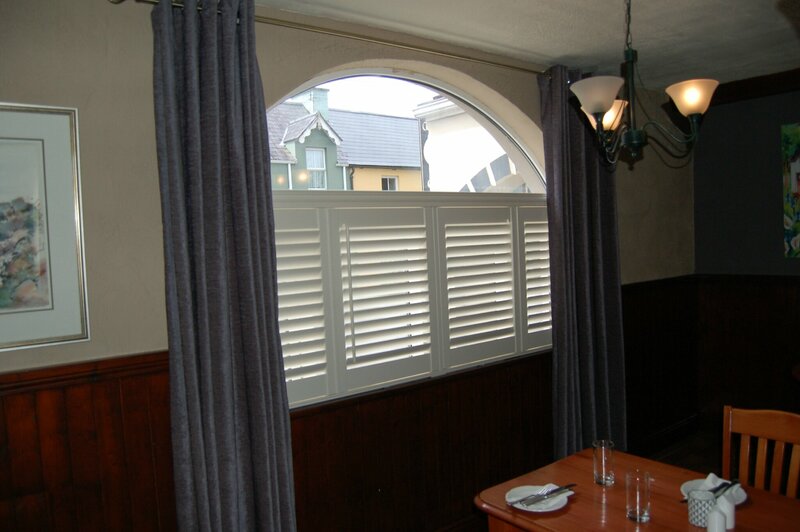 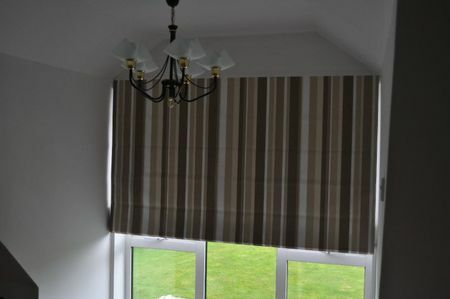 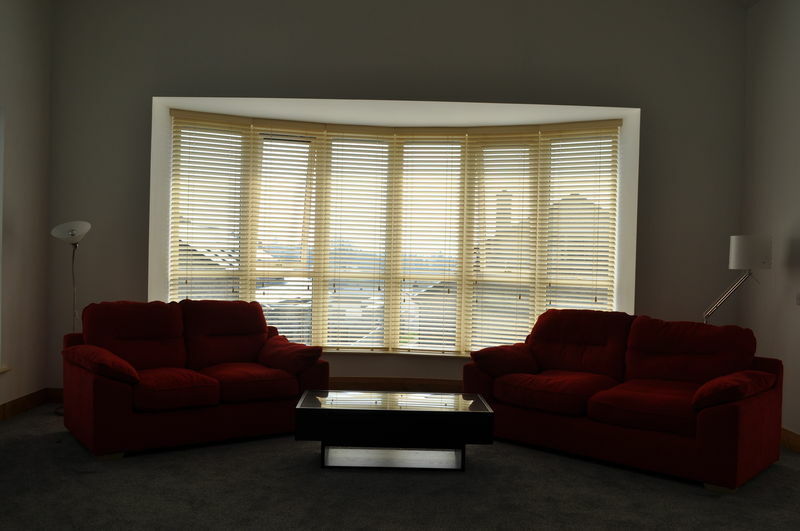 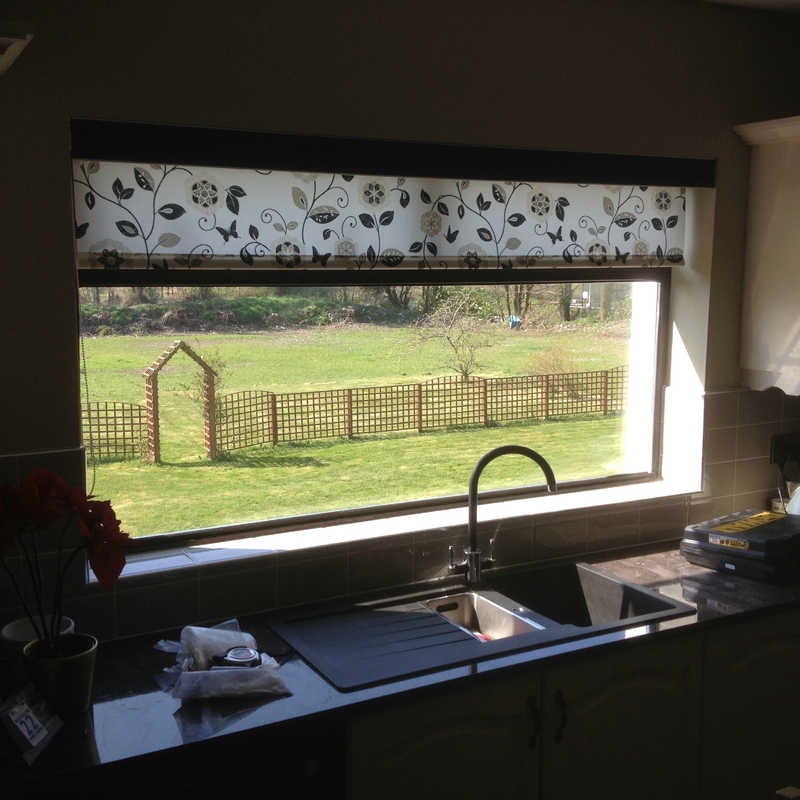 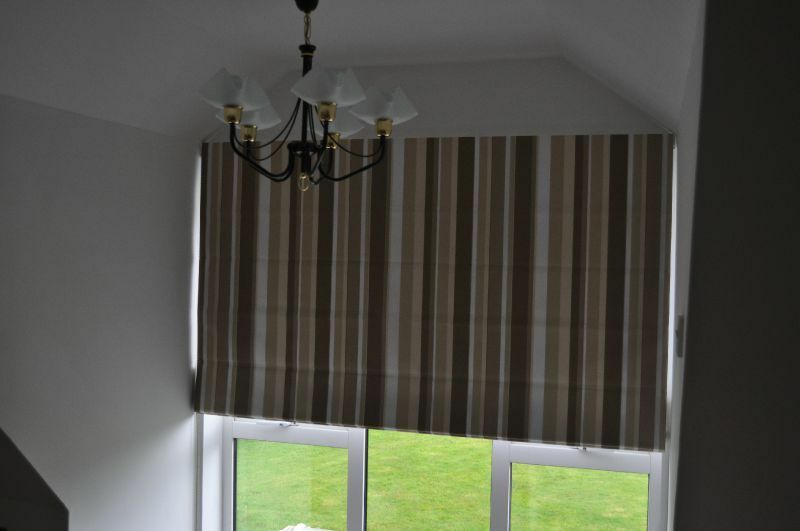 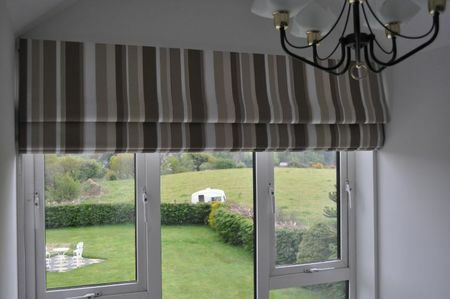 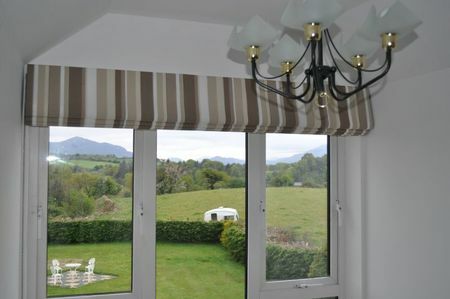 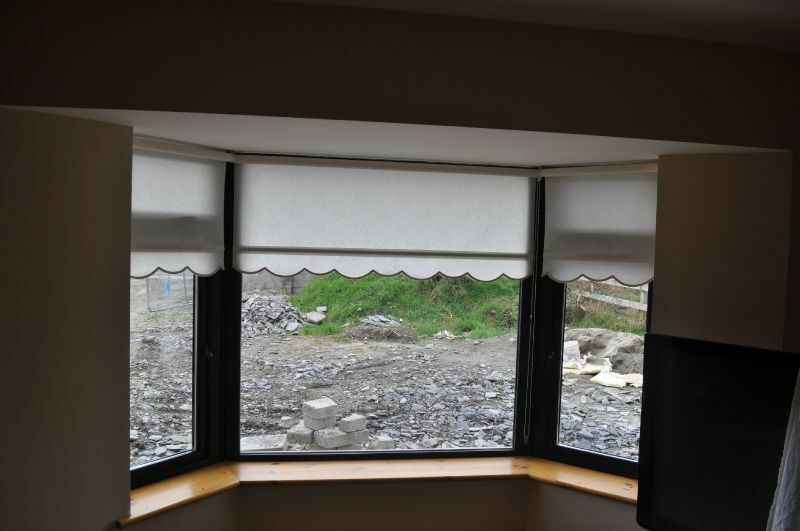 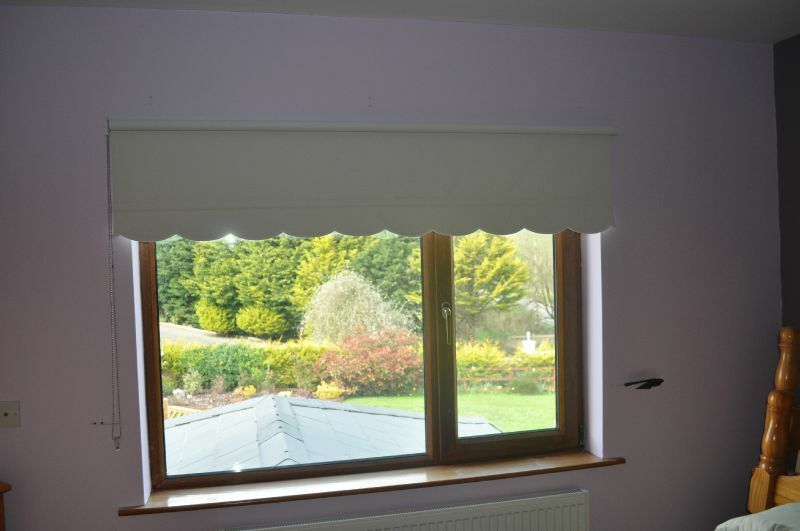 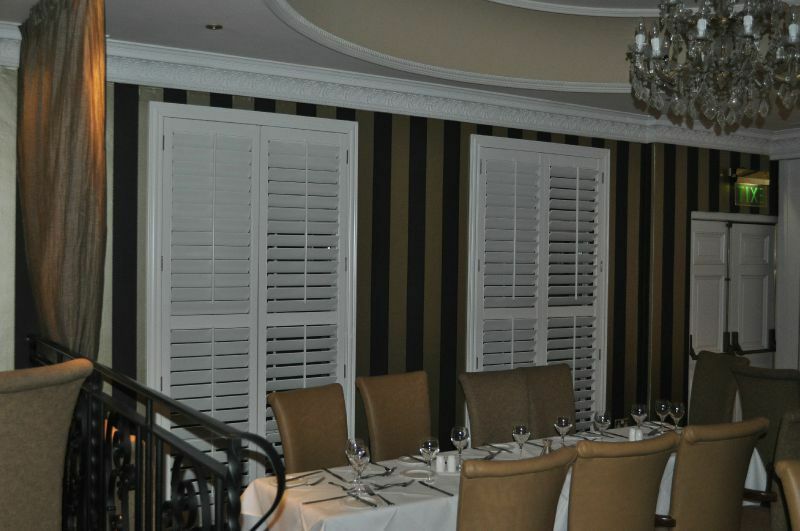 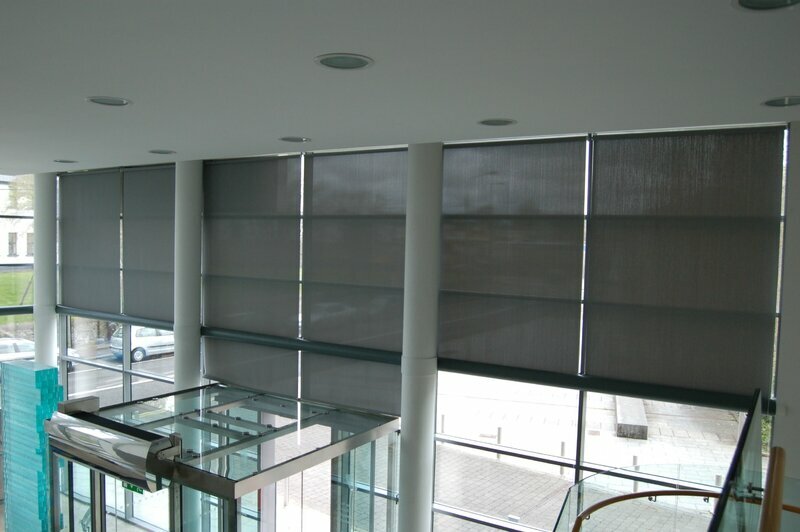 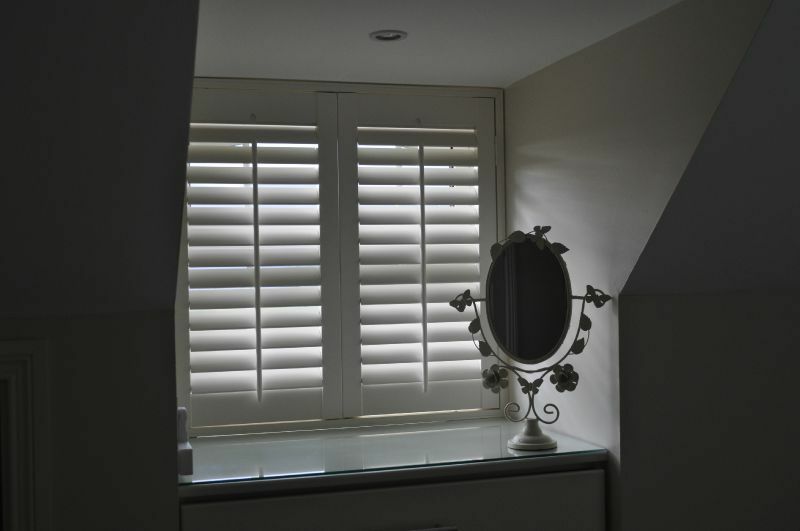 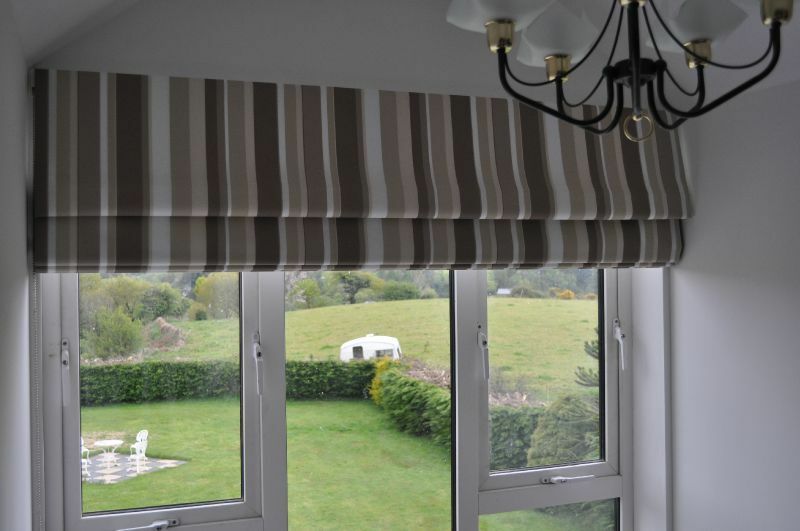 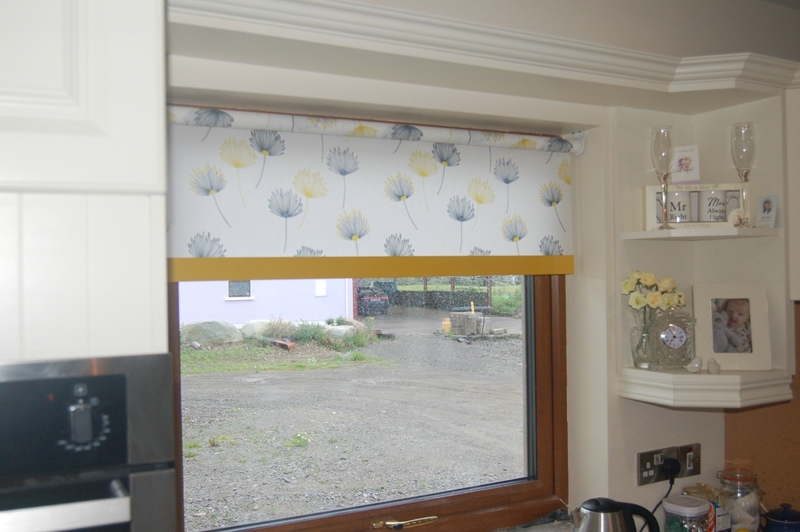 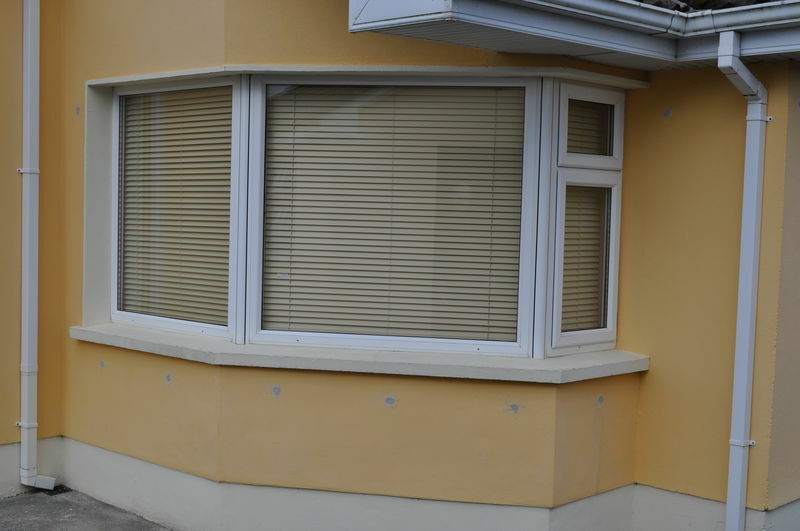 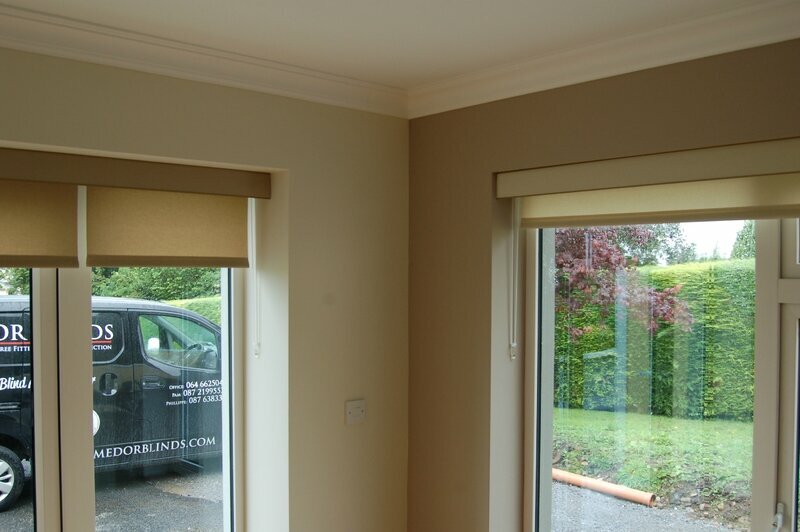 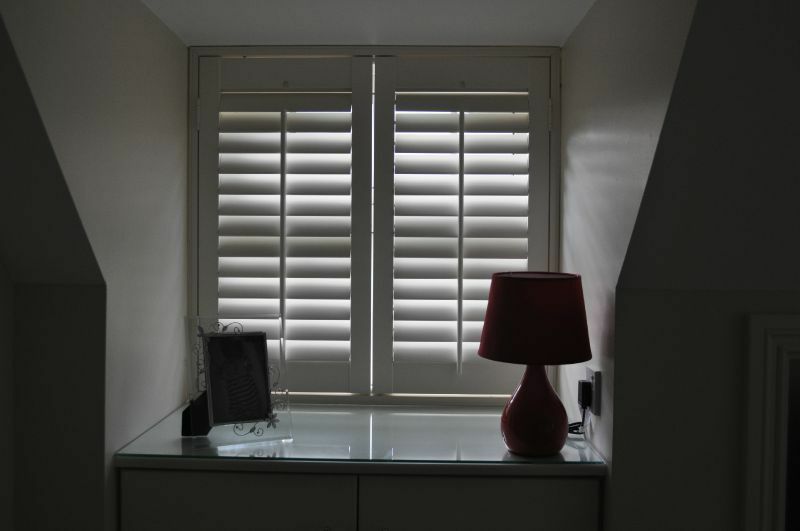 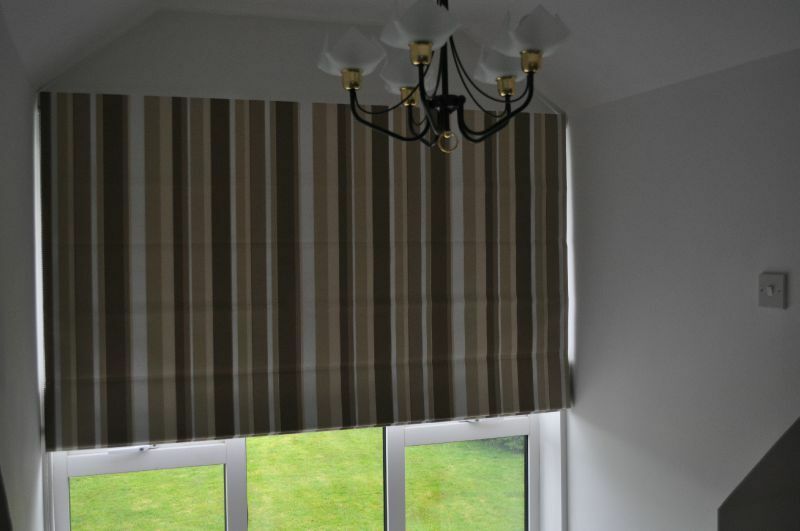 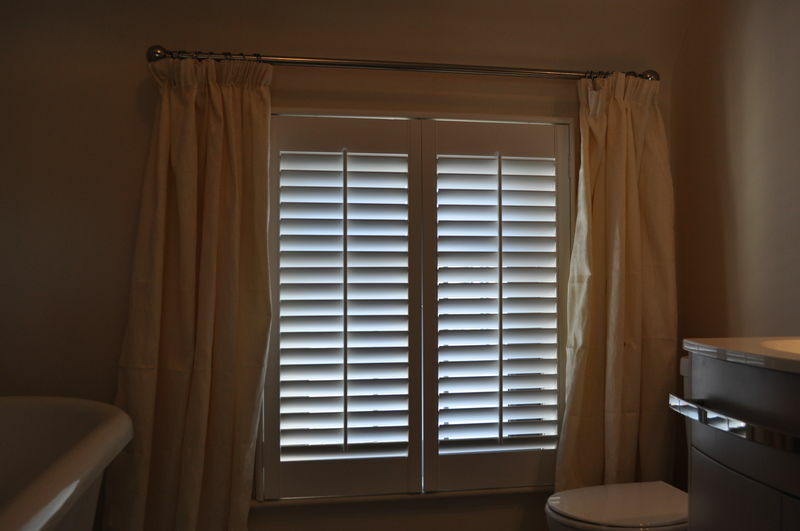 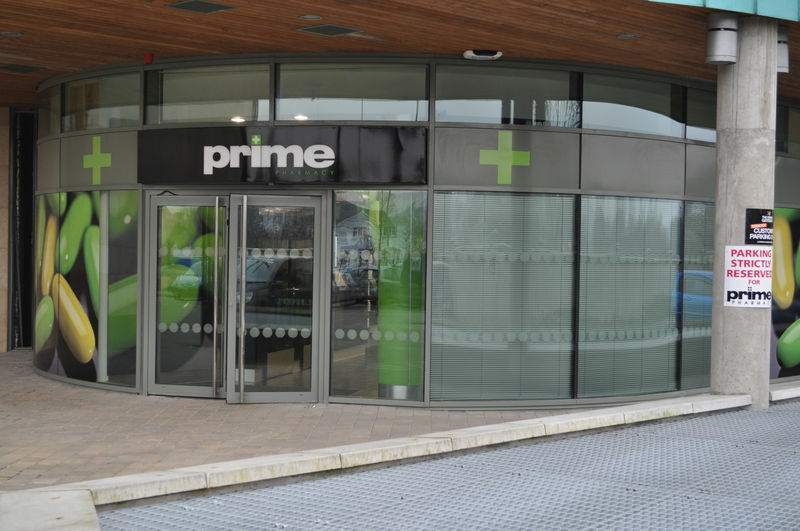 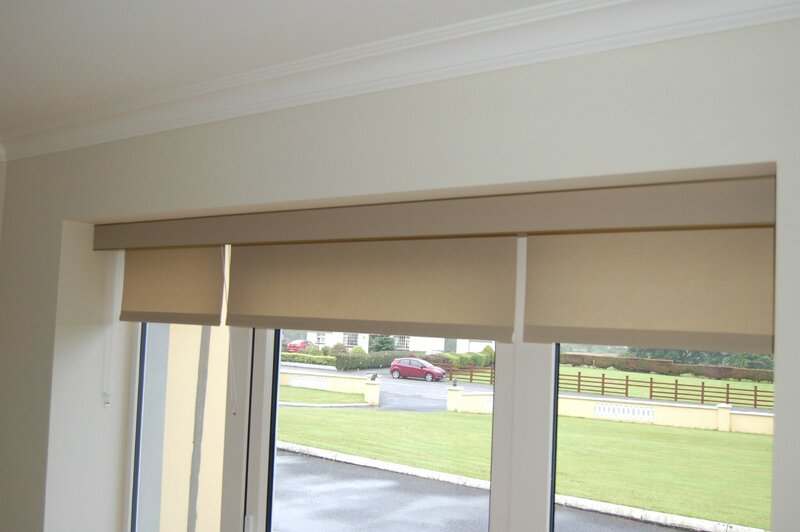 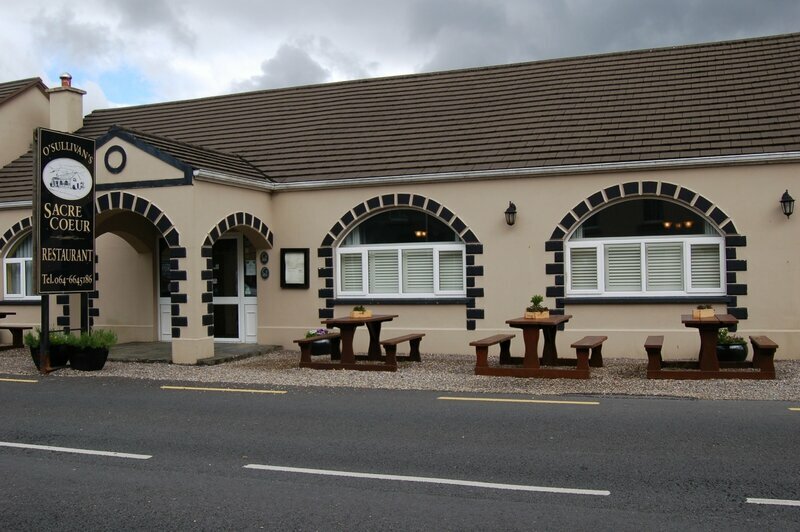 We manufacture, sell and fit a wide range of window blinds, from the good old roller blind, to the more modern pleated blind, and plantation shutters in Killarney, Co Kerry, Republic of Ireland. 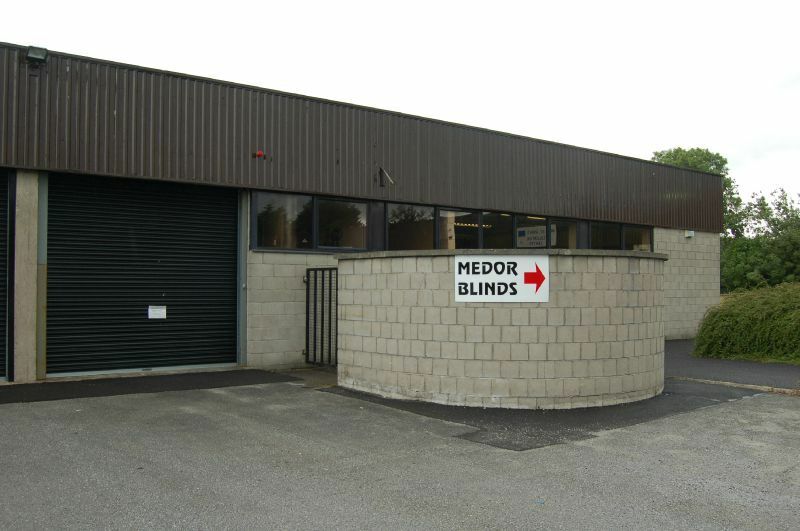 Our motto is "Choice, Quality, Value, Service". 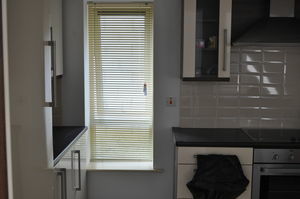 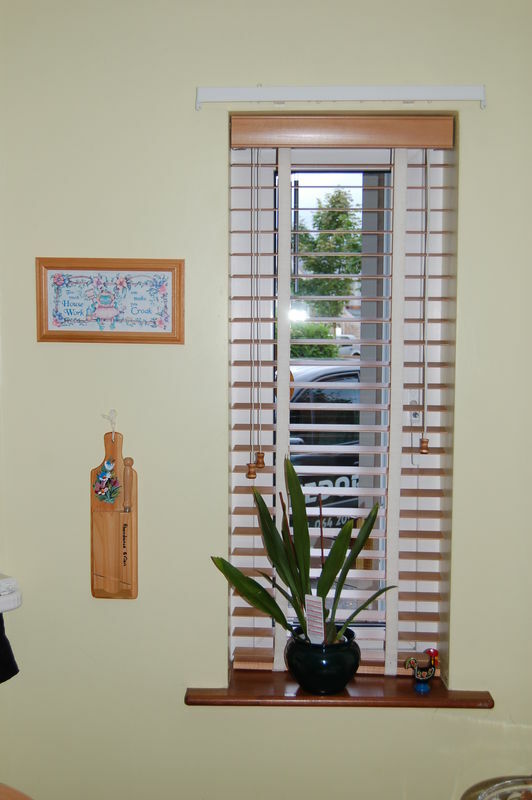 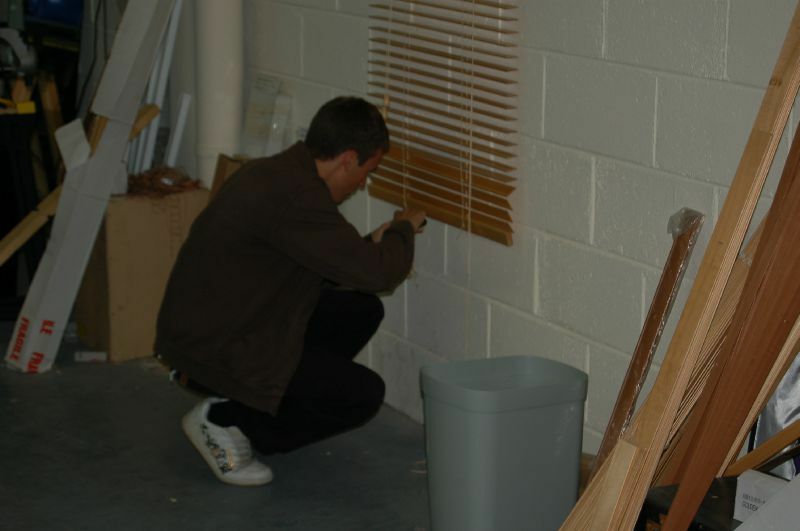 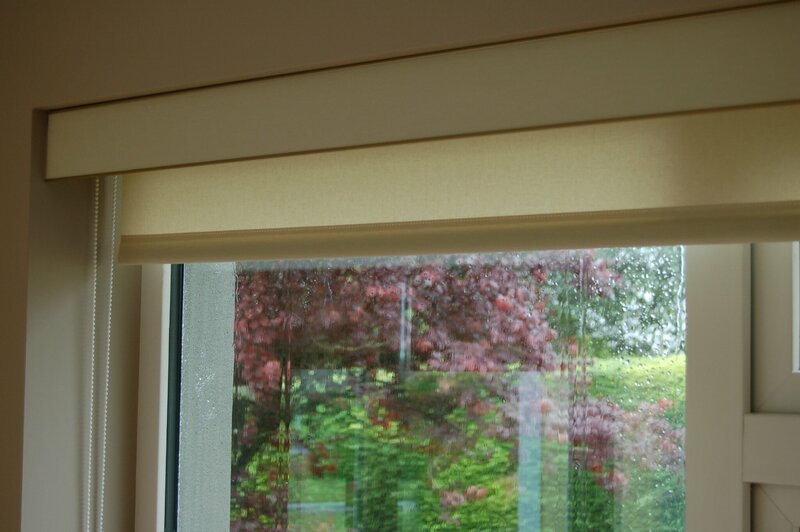 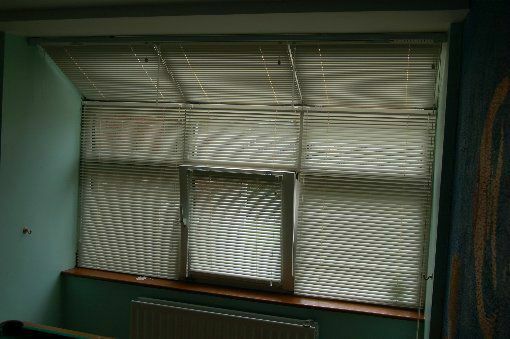 A plain end roller blind with a difference, the bottom of the blind is underlined with a piece of wood, (basically an unpunched wood venetian slat) here, yellow to pick up a color of the blind. 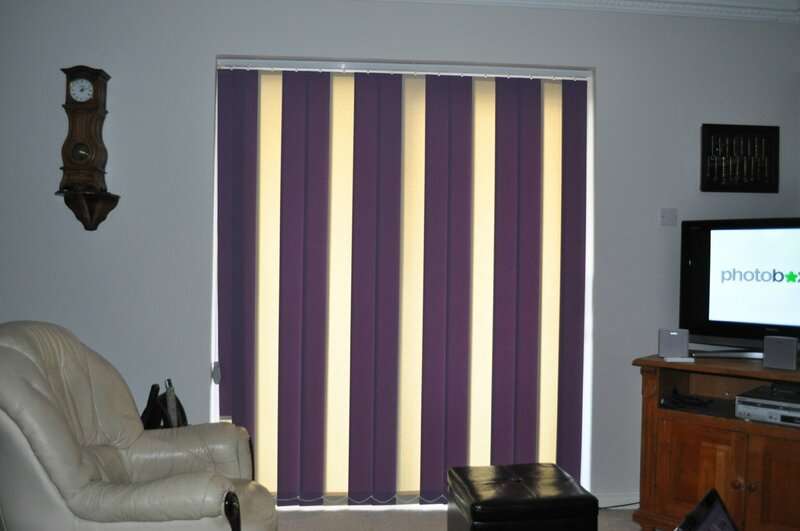 A vertical with a twist, bicolor, 2/3 purple, 1/3 cream. 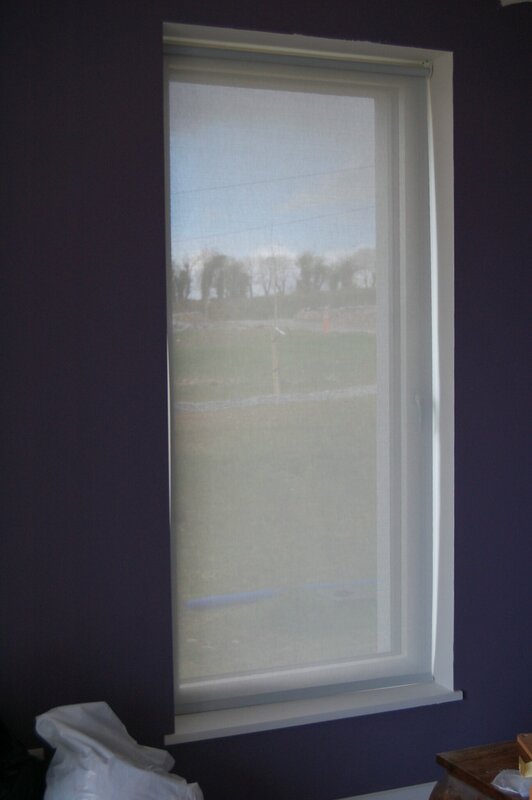 On a long window, open. 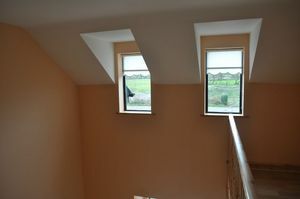 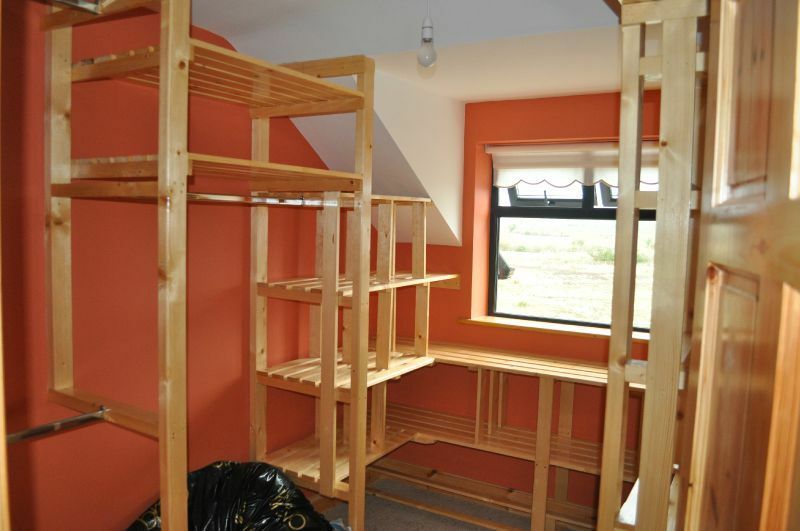 A corner window, with tier on tier, half closed. 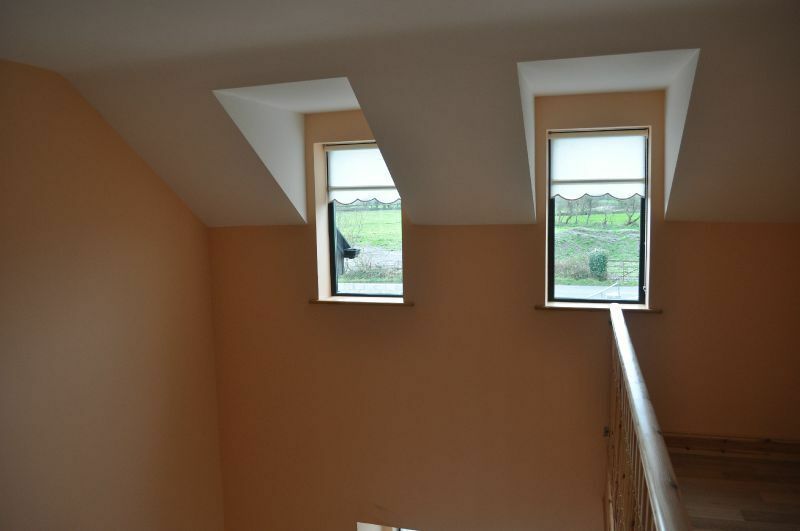 Same window, with the top half open. 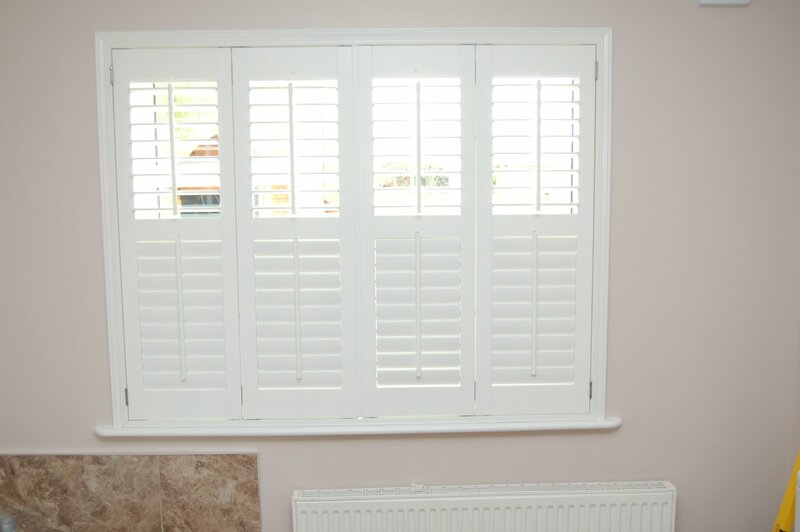 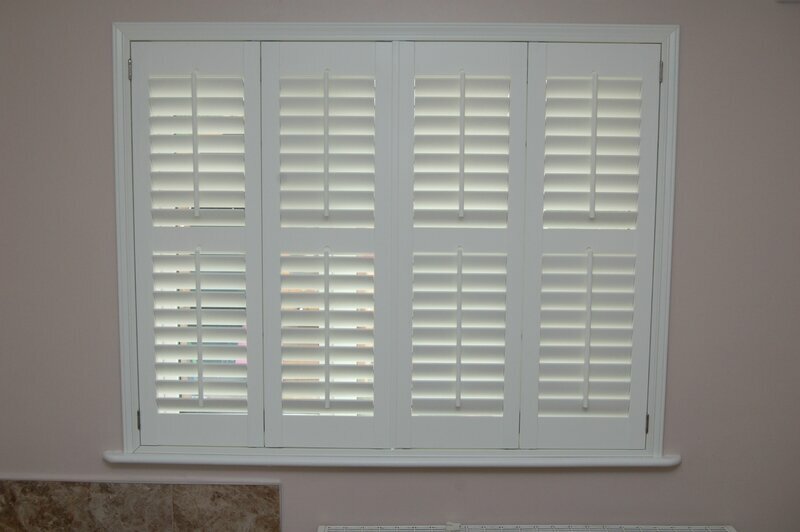 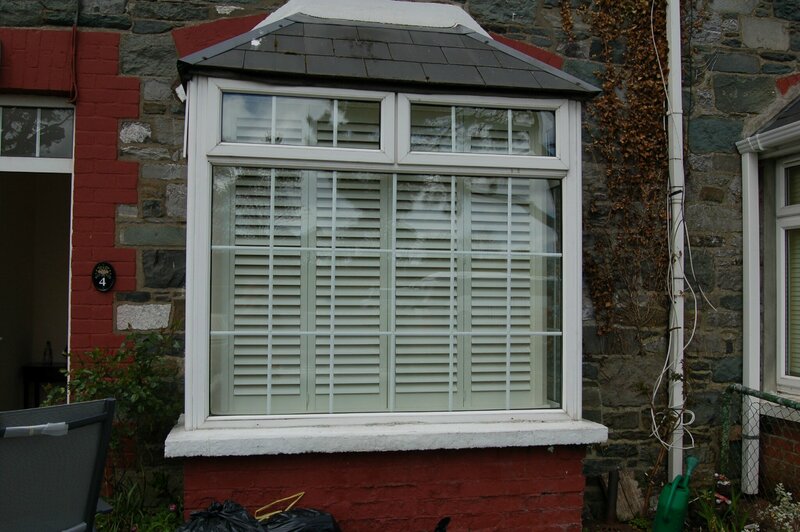 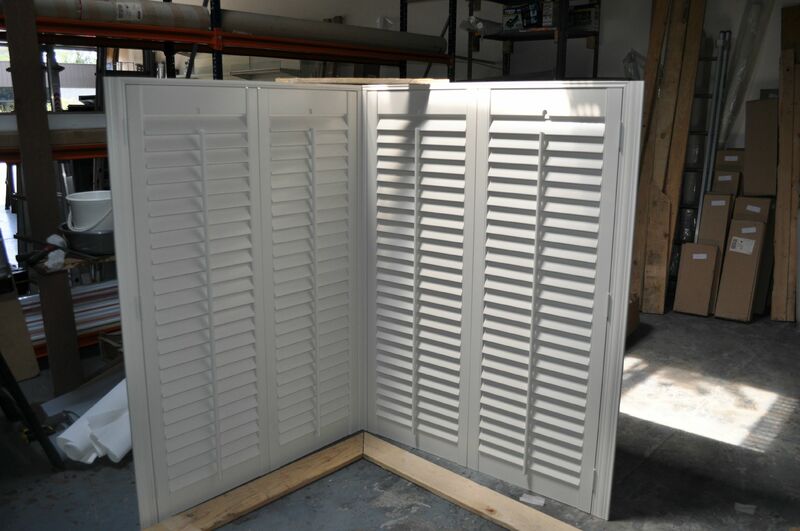 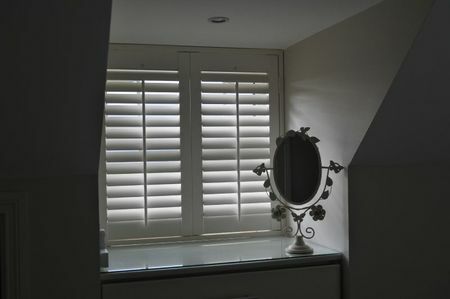 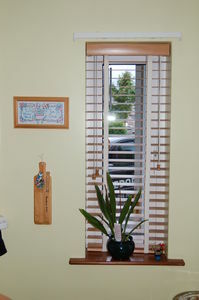 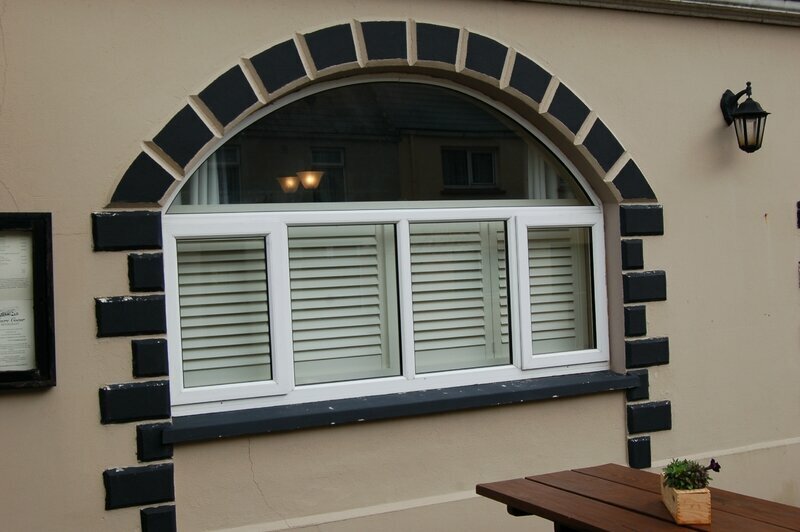 A Corner window, with plantation shutter, assembled in the factory, before going out for fitting. 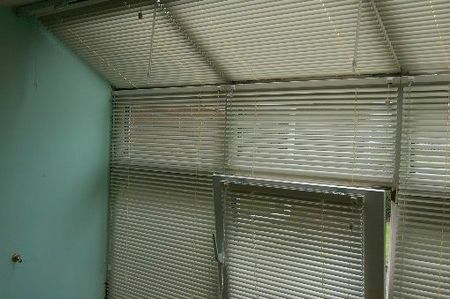 Doesn't look as bad as you think. 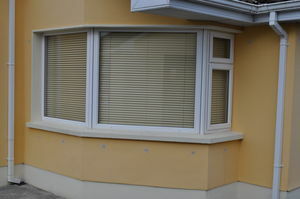 What you can do with aluminium Venetian. 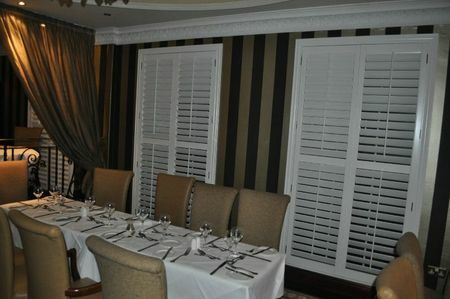 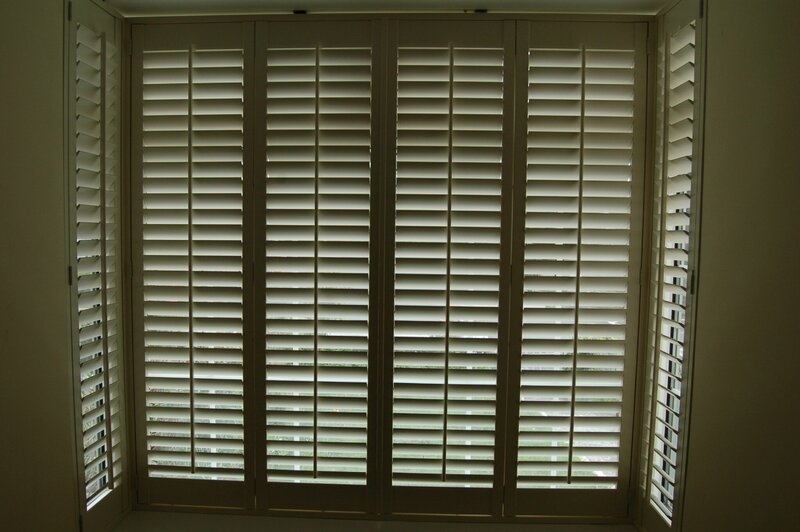 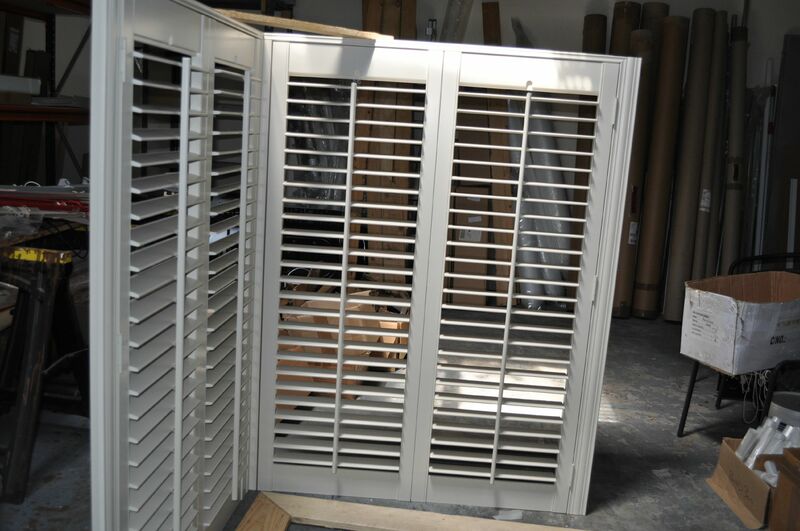 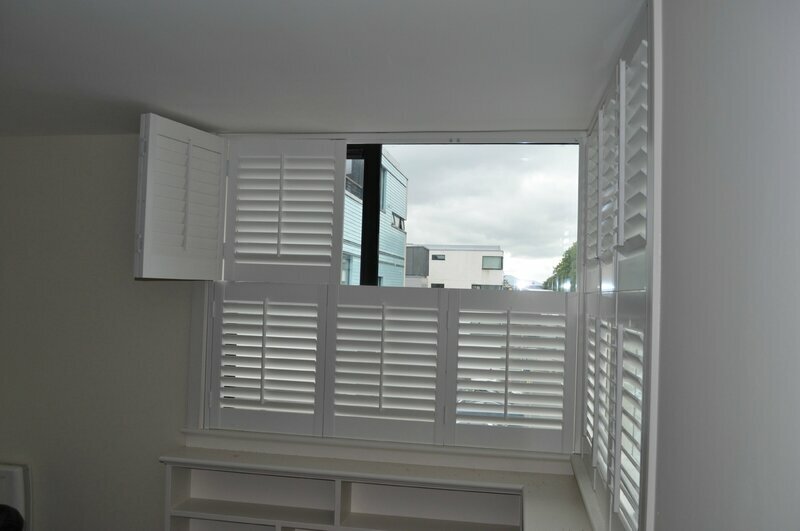 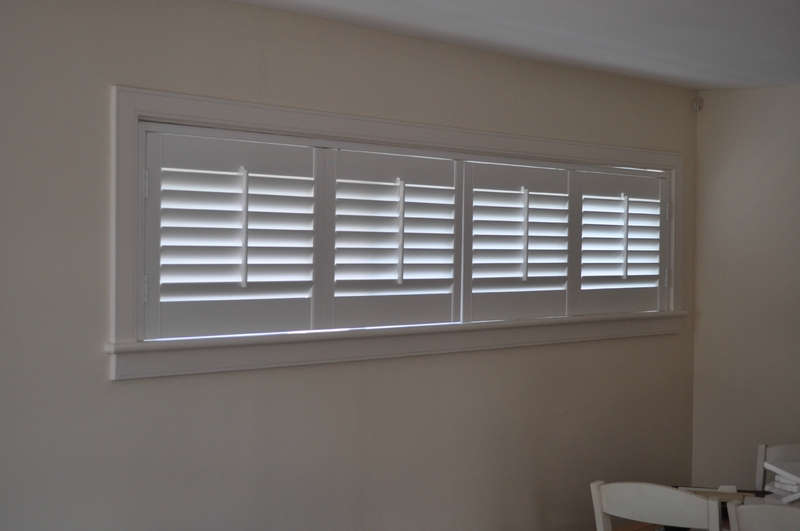 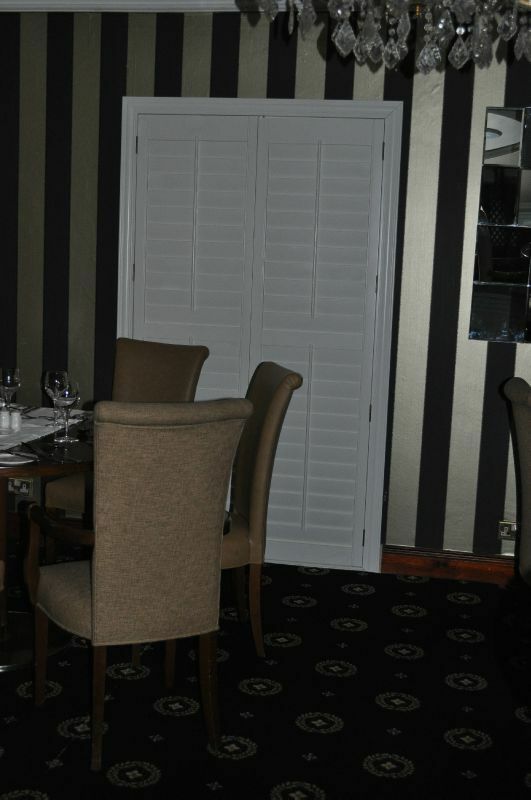 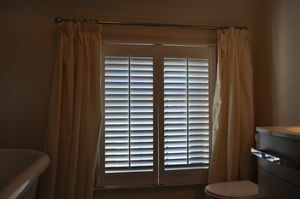 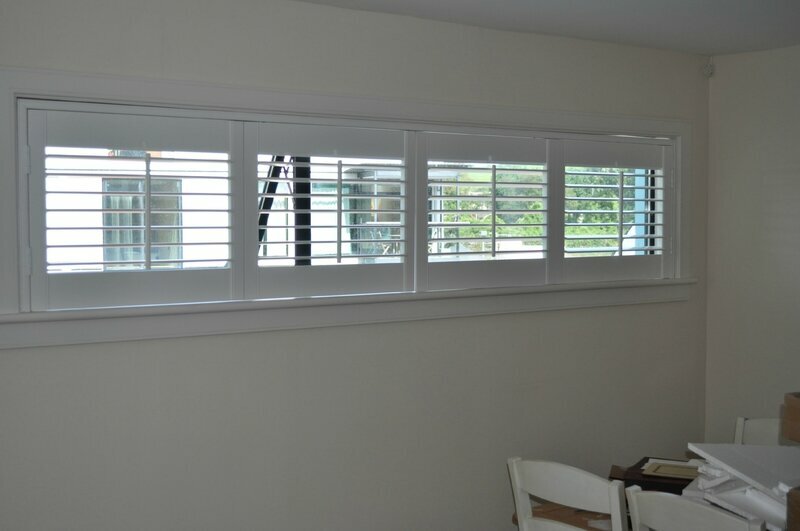 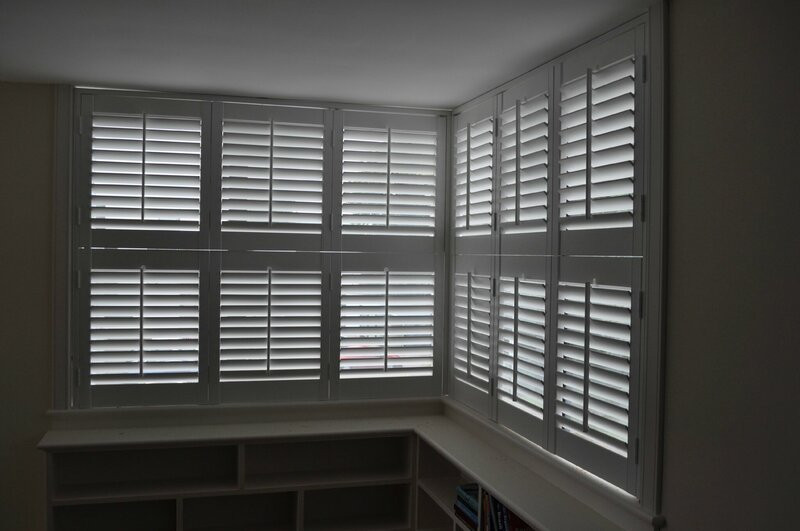 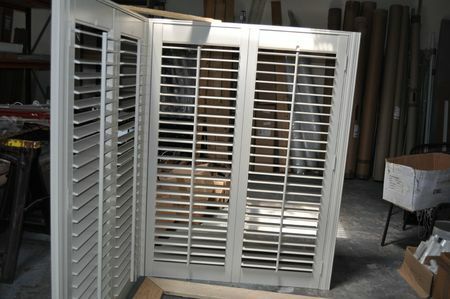 Samples of what you can do with Santafe shutters. 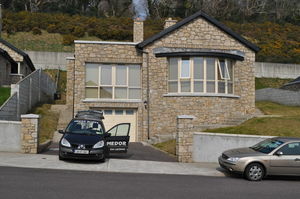 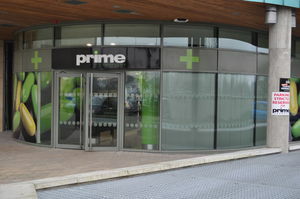 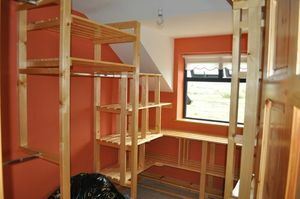 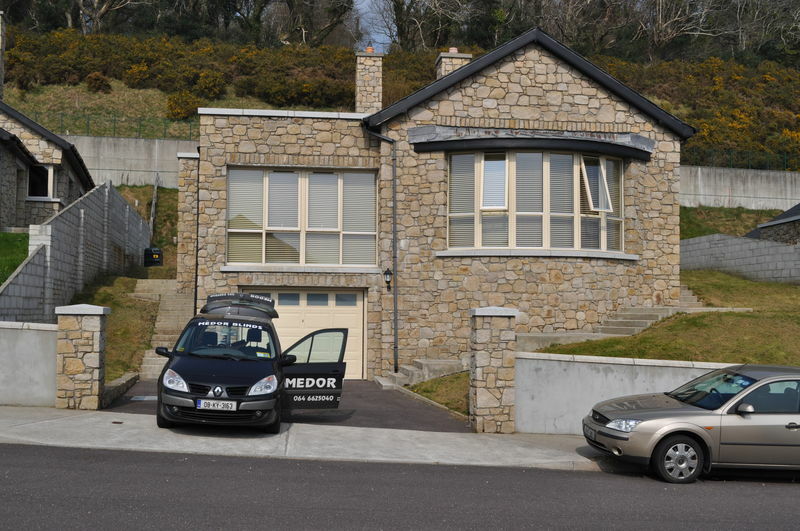 some pictures of our recent works. Finishing a wood venetian in the worshop. A view of the workshop and showroom.